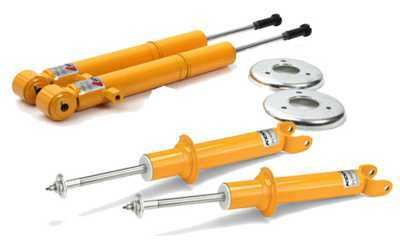 Koni Yellow Sport Shocks are the go to shock for any Miata that sees autocross or track time. They are rebound adjustable so you can "turn them down" for street use and adjust as needed when racing or autocrossing. They come with a lifetime warranty from Koni.